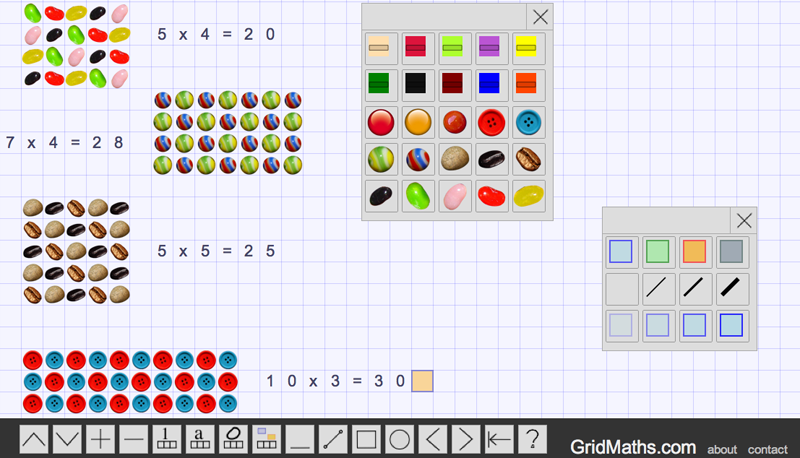 Grids Math | The Techie Teacher® . Grids Math is a website that sets your screen up as a big piece of grid paper with many cool tools to help you solve various math problems. I could see my students using this to solve multiplication/division problems with arrays, fractions, area and perimeter, distributive property, graphing, simple counting and so much more! This website does not have an option to save your work mat but students could simply take a screenshot of their work and paste it into a doc to save or print!